Aquifers store our groundwater. Roughly 60% of Washington’s drinking water comes from groundwater. CELP is the leading conservation organization urging the Department of Ecology to use its authority under state law to protect the safe, sustaining yield, and water quality of our aquifers. Aquifers are essential to our drinking water supply in Washington, as well as to irrigation, industry, and environmental flows for fish and wildlife during the summer and fall. An aquifer is nothing more than layers of rock or soil that contain water between the individual particles of rock or soil. 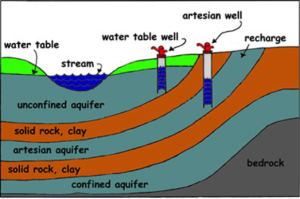 In confined aquifers, water is sandwiched between two impermeable layers of soil or rock. That sandwiching effect creates artesian pressure that can push water to the surface. 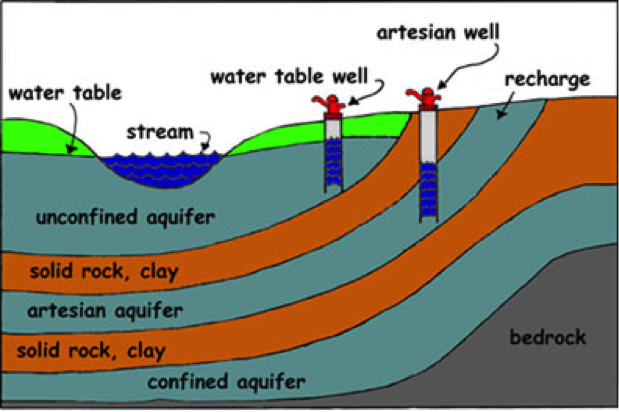 An unconfined aquifer has a permeable layer so wells are required to pump water to the surface for use. 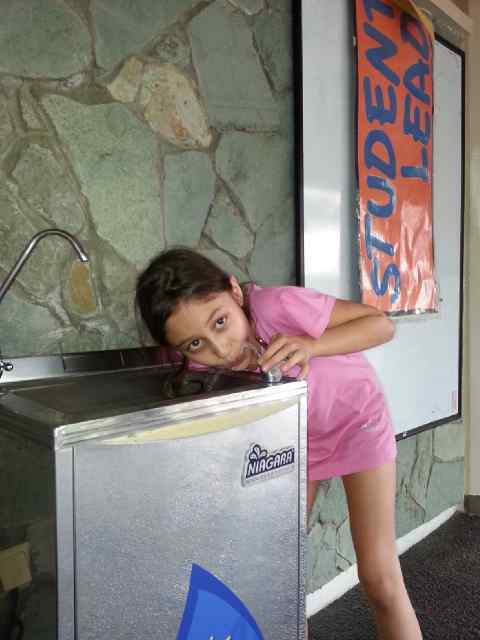 Consuming water from an aquifer depletes in unless the rate of recharge matches consumption. For either type of aquifer, whether confined or unconfined, recharge is a top concern. Recharge of aquifers in the Northwest comes primarily from melting snowpack seeping underground. 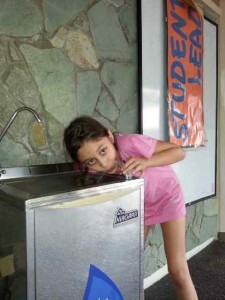 Depending on the geology and depth of the aquifer, recharge can be very slow to nonexistent. The Grand Ronde Aquifer is the sole source aquifer for Pullman and Moscow, Idaho. 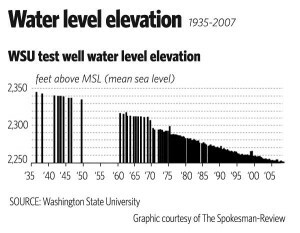 For over fifty years, levels in the Grand Ronde declined about 1.3 feet on average annually, although the rate recently slowed to an average of 0.9 feet. The shallower Wanapum Aquifer lies above the Grand Ronde and supplies water to Yakima, Benton, Latah and parts of Whitman counties. 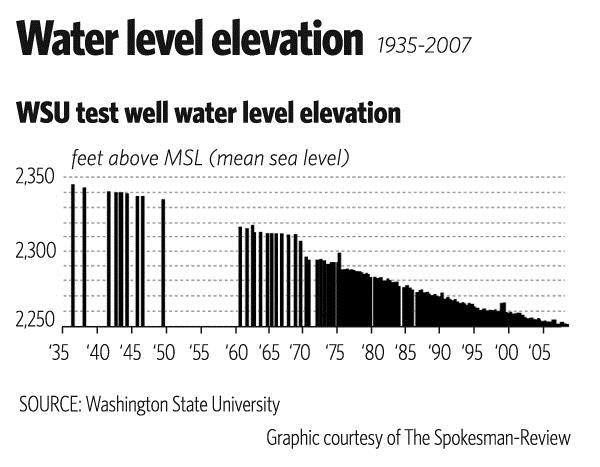 The aquifer shows long term declines of two-three feet annually. The Odessa aquifers provide water to about 200,000 people from Odessa to Pasco, Washington. In 1960, the aquifers had 50 million acre-feet; now only about 10 million acre-feet are left due to over pumping for irrigated agriculture. Irrigation uses almost all of the 1 million acre-feet a year pumped annually. In addition to over pumping, drinking aquifers throughout the state are at risk from pollution due to gravel mining, huge dairies and stock-watering operations, and over-use of fertilizers. In the Yakima Valley, Yakima County taxpayers spent $48,000 to dig a deeper well for the students at Outlook Elementary School because the school’s well was contaminated with nitrates. Without drinking water, Washington has no future.